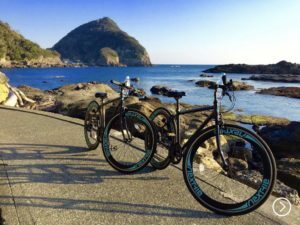 Great Nature Tours provides cycling tours in Izu. Our tours are more for general tourists, not for serious cyclists. You can join the tour if you can ride a bicycle. We have several courses as below. (Click the title of the course or image for the detailed information). It’s a deal! In this course, you can enjoy the whole Izu-kogen with downhill cycling from the mountain to the sea. The tour includes Rental Bike, Ticket of Mt. Omuro Chairlift, English Speaking Guide, Insurance and Bike Collection Fee. It’s a half day tour from 9:00am to 1:00pm or from 1:00pm to 5:00pm. 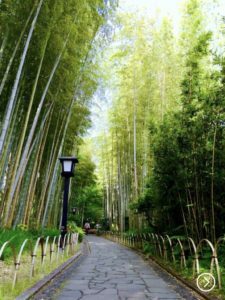 In this course, you can enjoy four attractions of Izu-Kogen. The tour includes Rental Bike, Ticket of Mt. Omuro Chairlift, Ticket of Izu Shaboten Animal Park and English Speaking Guide, Insurance and Bike Collection Fee. It’s a half day tour from 9:00am to 1:00pm or from 1:00pm to 5:00pm. [2019 season will start from March 21st!] 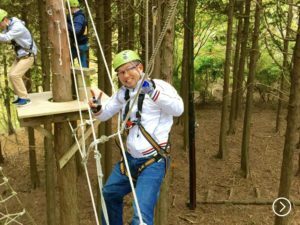 In this course, two attractions are in one package; a thrilling aerial rope course “Amagi Sky Adventure” and a long downhill cycling from Amagi-Kogen at an altitude of about 1000 meters to Jogasaki Coast. 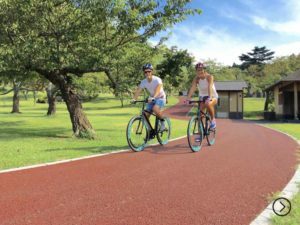 You can enjoy a 17 km long downhill cycling from the mountain to the sea after enjoying the exciting experience like 80 meters ZIP Line at “Amagi Sky Adventure”. 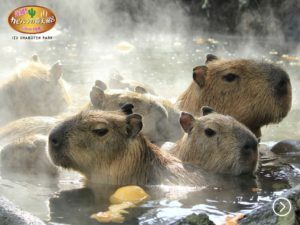 (After stopping at “Sakura no Sato”, the course will be the same as the [CourseA] “Jogasaki course”). The tour includes Rental Bike, Ticket of Amagi Sky Adventure, English Speaking Guide, Insurance and Bike Collection Fee. It’s a full day tour from 9:00am to 3:30pm. [Available on weekday between SEP and JUL] Shimoda was chosen as a first port for foreigners after Japan opened the country to the world. In this course, you can enjoy the cycling in the historic town, meet the local people and taste local foods. It is also the charm of this town that there is a beautiful coast near the town. The tour also stop at scenic l after enjoying the views from the summit of Mt. Omuro. The tour includes Rental Bike, Ticket of Mt. Omuro Chairlift, English Speaking Guide, Insurance and Bike Collection Fee. It’s a half day tour from 9:00am to 12:00noon or from 1:00pm to 4:00pm.